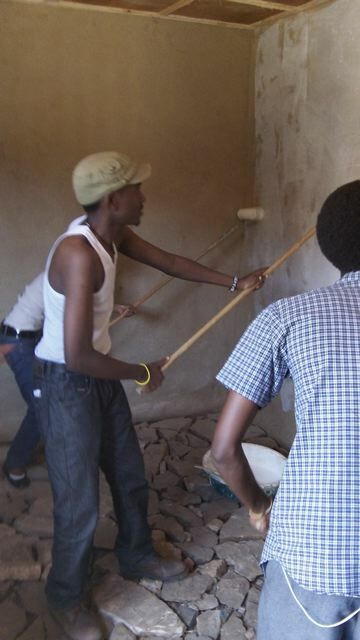 17 young Rotarians from SFB came for a day as a work crew. They entered into the work in progress. After hours of labor and good food they joined the Urukundo Kids in a fast paced basket ball game. It was great fun for them and for our kids. I am delighted to say the teams playing included girls, our boys and the young men from SFB. Good thing too because they were all about 6 ft 8 and our guys are a bit on the shorter side. Preparing the ground for planting.